Getting started with Opera is easy. We worked on making your transition from other browsers really smooth. You can automatically import your bookmarks and other settings and continue browsing where you left off. This is probably the most intuitive and easiest way. 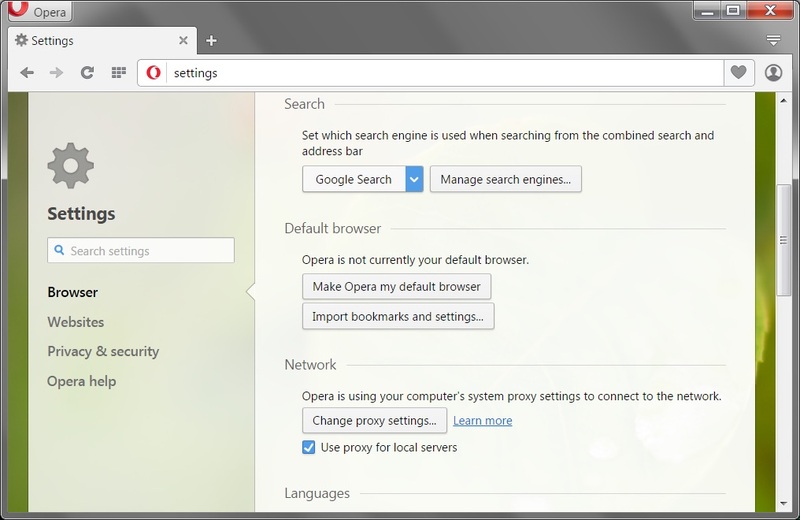 In Opera, just go to Settings from the main menu and hit the button “Make Opera my default browser”. If you’re on Windows 8 and 8.1, you’ll see an additional system window listing all browsers installed on your computer. From there, select the chosen one and confirm to set it as a default. You can change your default programs, including browsers, within the system settings. From the Start menu, go the Control panel. Next, follow this path: Programs -> Default Programs -> Set your default programs. 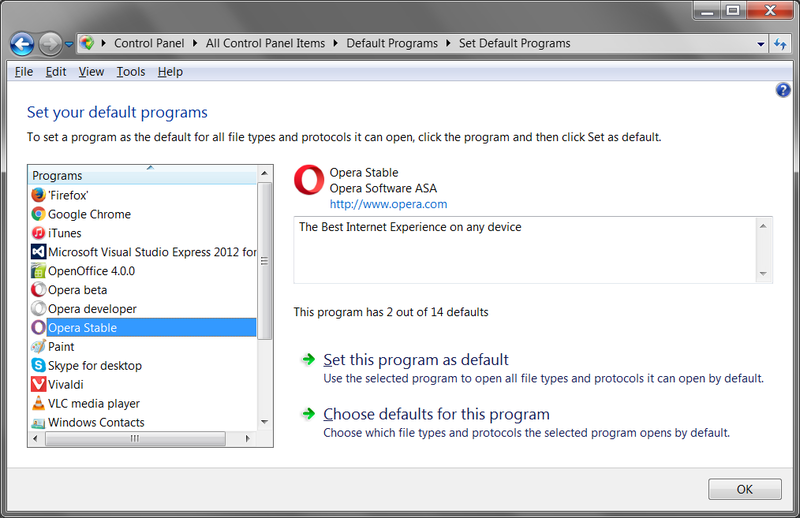 Choose Opera from the list of programs in that window and click “Set this program as default”. If the Control panel icon isn’t pinned to your screen, press the Windows key and start typing “Control panel”. Once you’ve accessed it, the next steps are the same as for the earlier Windows versions: Programs -> Default Programs -> Set your default programs. Then, you’ll be able to choose the browser from the list. In this OS version, changing your default browser is generally a little trickier. A few weeks ago, we published a separate post with instructions for Windows 10 users. If you haven’t joined the Opera family yet, we’ll be happy to see you board! We’ve got some nice new features in the pipeline for Opera for computers coming up this year. Previous article: Need an alternative to Internet Explorer 8, 9 or 10?Next article: New year, new you?